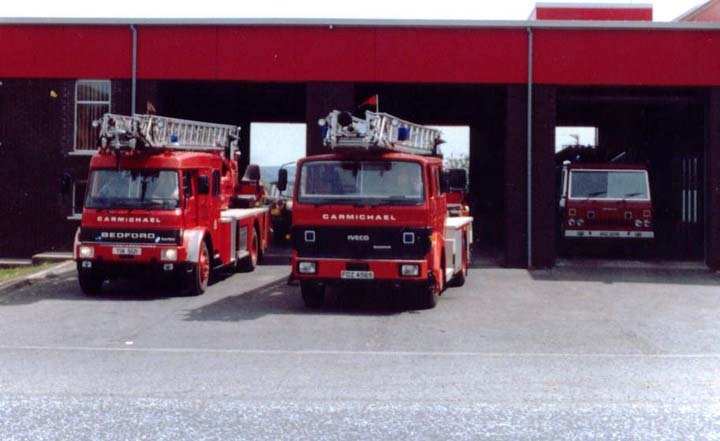 Taken outside Springfield Station in Belfast, this picture shows an Iveco Magirus TL and a Bedford Magirus TL. The Bedford was stationed here and has actually been snapped turning out to a call (headlights on and the photo has just caught the repeaters on the front grille). In the background on the right of the photo is a Bedford Alexander WrL.